The warm weather in Minneapolis, MN is finally around for a while. This beautiful weather not only attracts people to the outdoors, but it also attracts unwanted bugs. If you have noticed wasps around your yard, it is important to get these pests removed quickly. Don’t risk you or your children getting stung. Instead, team up with Eco Tech to provide efficient and effective wasp removal services. Before you know it, you will be able to enjoy the outdoors without the fear of a wasp interrupting! 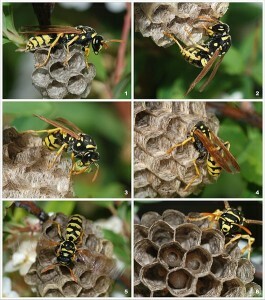 Ability to Sting Multiple Times – Wasps have a unique ability to sting more than one time. More reason to get these annoying bugs out of your yard this spring! Live in Colonies – When dealing with wasps, you are not just going up against one wasp. These pests live in colonies. These colonies can grow to 50,000 wasps in a summer. Anaphylactic Shock – For some individuals, the sting of a wasp can cause anaphylactic shock. If not properly addressed, this sting can even become deadly. Some people do not know that they are allergic until they get stung, so it is very important to have these wasps removed. Live Everywhere – Wasps can be found nearly everywhere in the world, except Antarctica. Initiate the Call – The minute you see wasps around your yard, give our team a call! The longer you wait, the more wasps you will find. Inspect – One of our wasp removal experts will provide a full home inspection to make sure that all wasps and nests are accounted for. Exterminate – Using all natural pest control methods, our staff will perform wasp nest removal and extermination services around your residence. Repair – These colonies of wasps can cause damage to your home. If you notice damage upon extermination of the wasps, our repair team can handle the damage. Prevention – Our work is not over at the point of extermination. We take the extra step to provide preventative measures that will help keep these wasps away for the long haul. If you live in Minneapolis, MN, and have noticed wasps hanging around your home, keep you and your family safe by contacting Eco Tech today! Don’t run the risk of getting stung. Give us a call at (763) 785-1414 to inquire more about our wasp removal services.